Portugal was back in the WTCC in 2015 at a circuit full of history and intrigue. Racing has been held around the hillside roads of Vila Real since 1931, when Gaspar Sameiro and Ercilio Barbosa conquered the original 7.150-kilometre course in a Ford Model A. Since then races have been run on and off, while the WTCC’s arrival signalled Vila Real’s first world championship meeting. The 4.755-kilometre layout used was a challenging blend of turns, climbs and descents. While a handful of chicanes were installed for safety reasons, the spectacle remained with speeds nearing 240kph on the final downhill section. 1: Prior to the championship’s return to Portugal in 2015, the last WTCC races held in the country were at the Circuito da Boavista in Porto two years prior, with Chevrolet drivers Yvan Muller and James Nash winning. 2: Vila Real played host to F3 single-seaters in the 1960s before sportscar racing came to the fore. Chris Craft and David Piper won a six-hour event in 1969 driving a Porsche 908. 3: During the 1980s touring car racing thrived at the circuit before a fatal accident in 1991 forced the authorities to intervene due to concerns over safety. Racing resumed on a shortened layout in 2007, with a revival meeting attended by Stirling Moss. 4: Located in the north of Portugal, Vila Real’s population has more than doubled in recent years – from 24, 481 people in 2001 to 51, 850 in 2011. 5: Although Portuguese WTCC star Tiago Monteiro was born in nearby Porto, he had never raced at Vila Real prior to 2015 but likened the street track it to a cross between Macau and Nürburgring Nordschleife. 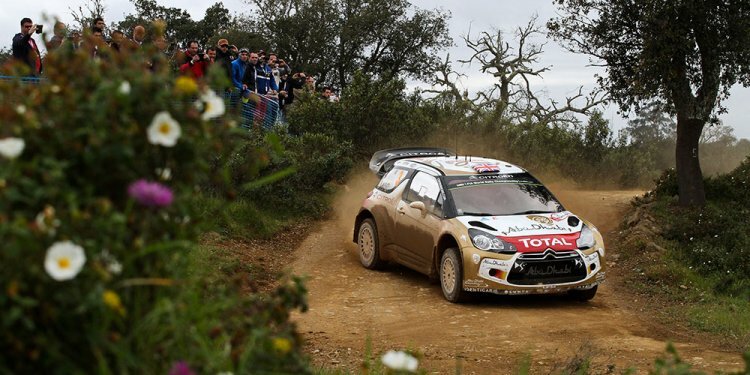 José María López and Ma Qing Hua helped Citroën extend its winning tally in the FIA World Touring Car Championship to 31 by taking it in turns to triumph on the challenging Vila Real streets as OSCARO.com WTCC Race of Portugal delivered action and drama aplenty. In ambient temperatures approaching 30 degrees centigrade and in front of an estimated 180, 000 fans over the three-day event, López bossed the opening counter to head fellow C-Elysée driver Sébastien Loeb with Norbert Michelisz third for Honda. Ma held firm in race two for his first win of 2015 and his second triumph in the WTCC following his historic victory in Russia last season when he became the first driver from China to win an FIA world championship motor race. Behind second-placed Yvan Muller, Gabriele Tarquini completed the race-two podium for Honda but it proved an afternoon to forget for team-mate Tiago Monteiro when the Portuguese was eliminated in a hefty start-line clash with LADA driver Jaap van Lagen. Michelisz made it two Yokohama Drivers’ Trophy top scores as fifth for López meant it was ‘catch him if you can time’ with the Argentine leading the title chase by 55 points heading into the summer break.